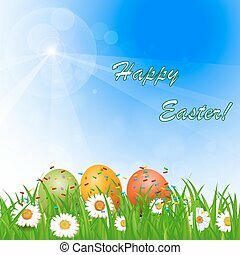 Bright easter background. 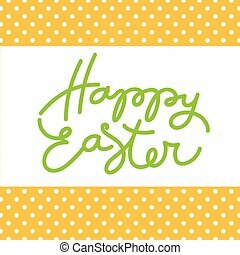 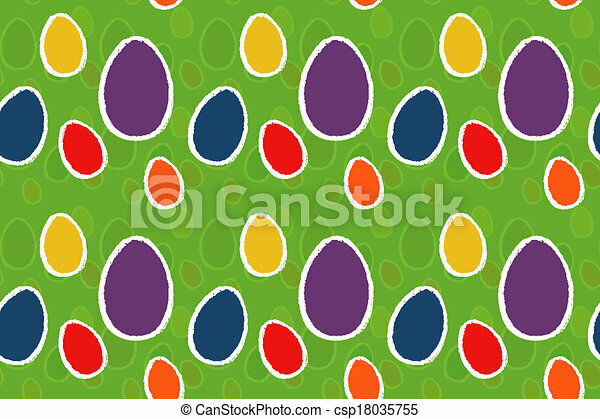 Green background with colorful easter eggs. 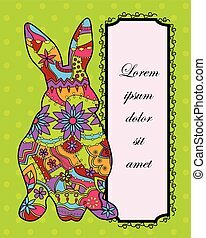 Happy Easter card. 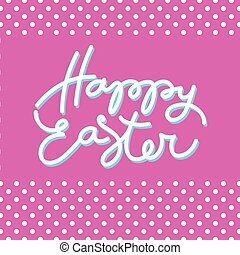 Easter lettering. 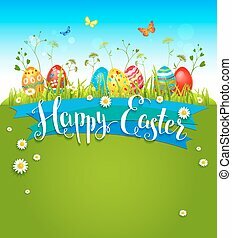 Bright easter background. 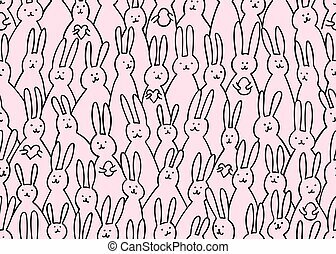 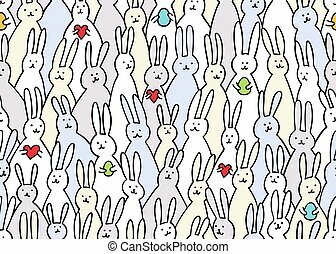 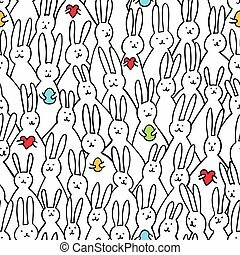 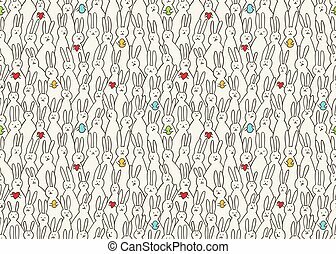 Easter illustration. 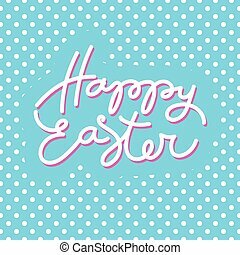 Handwriting inscription. 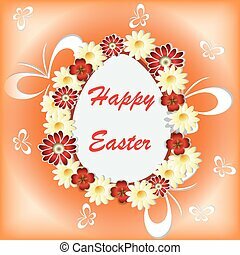 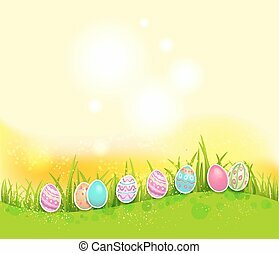 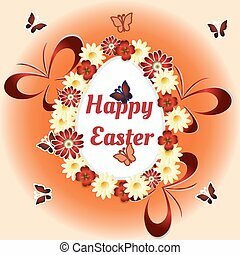 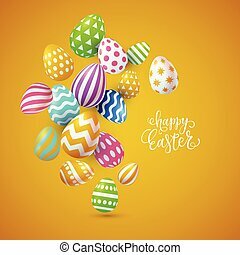 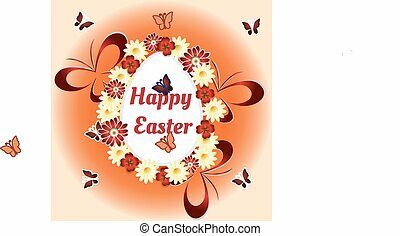 Vector illustration, bright Easter background with 3d decorated eggs and Happy Easter lettering.